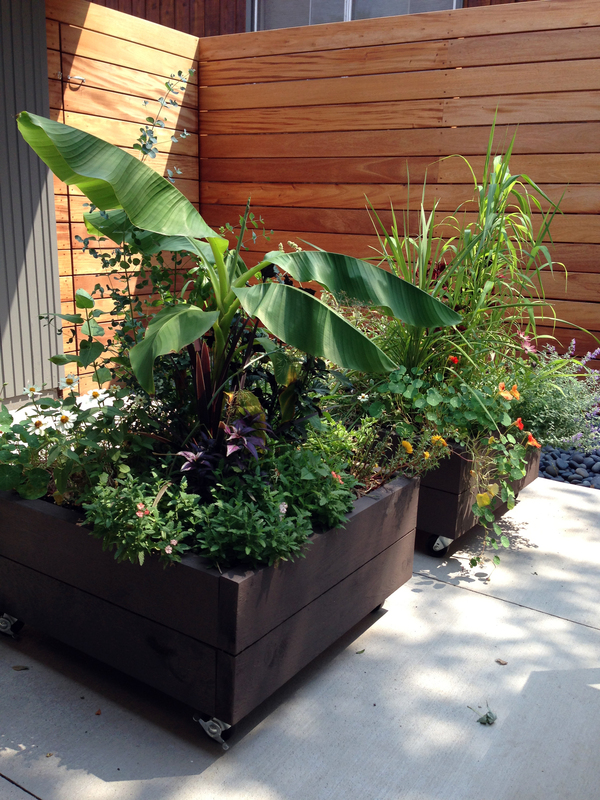 The first creation out of h landscapes is this super-fun rolling planter. 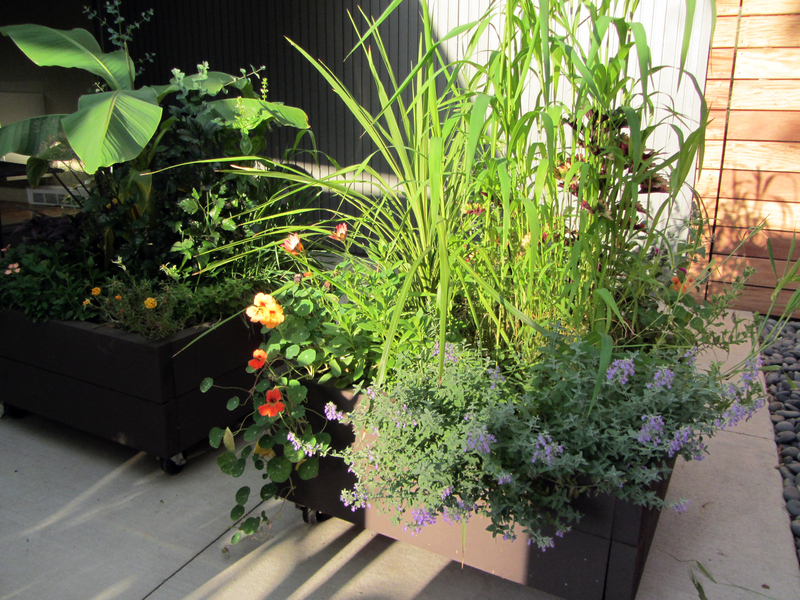 These sturdy, modern planters offer generous planting spaces to grow anything from banana trees to millet to catnip for your favorite kitty! Each planter comes with drainage holes and is lined with landscape fabric. Just fill them with some rock and soil and you’re ready to start planting! To purchase this planter size in unfinished cedar costs $300, plus tax. Right now, I offer them in unfinished cedar and you can stain them to your liking. Or, I can also stain them in a semi-opaque dark brown stain for an additional fee. (The planters will fade to a silver-gray if not sealed or stained.) I build them all to order, so if there is a color you’d like to have, please let me know and we’ll get it figured out. You may pick up your order at the h landscapes headquarters near Colorado Boulevard and I-25 in Denver, Colorado, or we will be happy to deliver/ship them to your place. Delivery/shipping will cost extra, but once we know where you’re located, we can figure out the details and costs to get them to your place. Interested in purchasing some planters or just have some questions about them? Please contact me at hchristine1980@hotmail.com or 720.363.6531. Or contact me via this handy contact form.